What helps babies and young children develop proficient social skills? How do children's early relationships and social interactions influence their future emotional resilience and wellbeing? 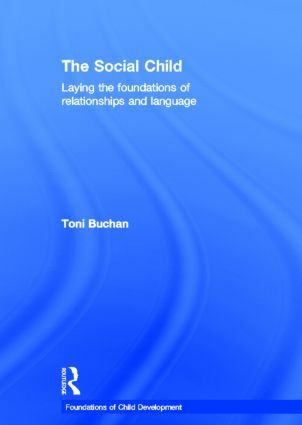 The Social Child thoughtfully discusses the key principles of children’s social development alongside descriptions of everyday practice. It aims to provide the reader with a rich understanding of the social skills and relationships that children develop as well as their discovery of communication and language. celebrate the uniqueness of each child and provide learning experiences that are appropriate for individuals with particular learning needs, be they physical, emotional or cognitive to ensure that every child has an equal opportunity to succeed. Emphasising the importance of understanding the theory that underpins children’s social development, this accessible text shows practitioners how they can use this knowledge to provide learning opportunities that nourish children’s emerging communication and social skills. 1. Setting the Scene; 2. Play, Imitation and Exploration; 3. Active Learning, Learning to be Sociable; 4. Creating Sociable Language; 5. Seeing Children Talk; 6. Engaging with Families; 7. Embracing Differences; 8. The Links of Language; 9. Ready for School, Prepared for Life? Toni Buchan has been awarded a Masters in Educational Studies at Canterbury Christ Church University, and continues to lecture in Early Years and Child Development. An understanding of child development is at the heart of good early years practice. The four books in this exciting new series each take a detailed look at a major strand of child development – cognitive, social, physical and emotional – and aim to provide practitioners with the knowledge and understanding they need to plan ways of working with children that are developmentally appropriate. Clearly linking theory to everyday practice they explain why practitioners teach in certain ways and show how they can provide learning experiences that will help children to become competent and enthusiastic learners. Whilst the series allows for an in depth study of each of the four major areas of development individually, it also demonstrates that they are, in reality, intertwined and indivisible.